Online sales continue to grow at a fast clip throughout Asia. Online channels can be a great way to add incremental export sales for many US brands. 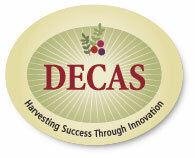 “Athena Marketing International (AMI) has represented Decas Cranberry Products and Decas Botanical Synergies since April 2007. The territory managed by AMI has been Asia, Middle East, and Australia/New Zealand. “I would highly recommend Athena Marketing International for any company who would like to expand their international presence. Peter Guyer has been managing our business development efforts internationally for 4 years and he has done excellent job building sales and profits by establishing solid distributors and building select direct customer relationships. Peter has solid business acumen and a professional demeanor and represents our company well at customer meetings and international exhibits. He is a clear communicator and his trip and show reports keep me fully informed on the progress of the international pipeline of new business.” —Robyn Hawkins, CEO Big Train Inc.
©2004-2014 Athena Marketing International, LLC. All rights reserved.